When I visit my aunt in England I never go to sightsee, or to be a tourist. I go there to eat. And specifically, I go there to consume inordinate amounts of scones, clotted cream, earl grey tea, and egg sandwiches on granary bread. Dot.Teas is my favorite casual tea. The restaurant gives off a lovely vintage sitting room feel with its large open windows, vinyl tablecloths, and mismatched tea sets. The food is cheap, good, and the portions are right for everything. 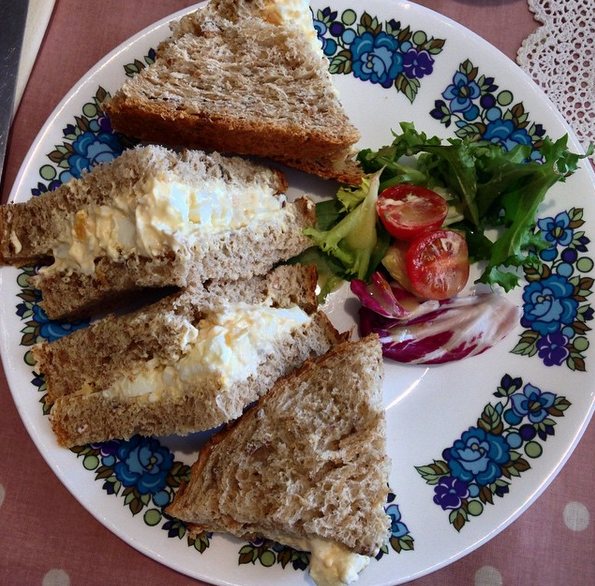 From their Dorset Cream Tea to their yummy ham and cheese toasties, Dot.Teas is worth a stop if you ever find yourself in Bournemouth. When I decided to visit my aunt in England last week, I emphasized that I wasn’t there to sightsee, nor to be a tourist. I was there to eat. This week’s special edition of Cheap Eats is on a Bournemouth staple, Bellagio Pizzeria where their lunch specials will only set you back a measly £6 for a small garden salad and an entree. You can pick your entree from a small selection of pizzas or pastas or two types of calzones. I am the biggest fan of bubble (pearl/milk/boba) tea. There was a period of time in college when I had boba every single day straight for two full semesters (it was a dark time). I even took this BuzzFeed quiz which only further confirmed my unhealthy obsession with the stuff. I am such a fan of boba that I managed to convert my aunt and cousin (whom I was visiting this past week) to boba drinkers/lovers as well. So when we decided to go to London, dim sum and bubble tea was a no-brainer combination. I’ve never waited so long for dim sum. The Californian in me is used to early brunches (early enough that they should probably be called breakfast) and dim sum is no exception. Dim sum can start as early as 9 a.m. with most of the morning crowd arriving by 11:00 a.m.
That was not the case of Overseas Chinese or, in fact, any dim sum restaurant in London’s Chinatown. Everything was closed – boba shops (understandably), dim sum restaurants, and even the Chinese buffets! The only two things open were Chinese bakeries (which nearly tempted us into spoiling our appetites) and cafés. When I’m broke from all my eating out and my paycheck hasn’t come, I can always count on Xi’an Famous Foods to satisfy my craving for hearty, flavorful noodles without breaking the bank. Everything is under $10 and the portions are generous. All you need to do is walk to one.